When I first approached Lee in late 2012 I think it’s fair to say I wasn’t in the best way. 11 months with barely any training due to a painful tendonitis injury is not the best starting point for training to become a world class track sprinter but that’s the situation I found myself in. After a couple of phone calls with Lee I was sold that he was the coach I needed to help me back onto my bike again and to work with in order to gain the results and performances that I hoped for. Lee’s understanding and help in this stage was vital and after a few months of carefully working with him to ease me back into training, creating a solid foundation whilst avoiding re-injury Lee continued to carefully adjust the training load, bring in new, interesting sessions and continually listen to my feedback and change things when necessary. Leading up to my big events later in that year Lee tried some taper strategies with me and I was really introduced to proper periodisation in training for the first time. On just 6 months of proper training I finished my last year as a junior with times of 11.1 in the flying 200m TT and 18.38 in the standing lap and we had a clear idea of the direction I would probably head as a sprinter. The next year was a very different approach, I was going into it with more experience, base fitness and with far more speed, it would have been easy to become complacent with what I was doing had I been on my own as it appeared to be working but Lee was constantly tweaking the training I was doing to continue to maximise my improvement and it again saw improvements. I shaved another 10th off my flying 200m TT time and 2 tenths off my standing lap time. 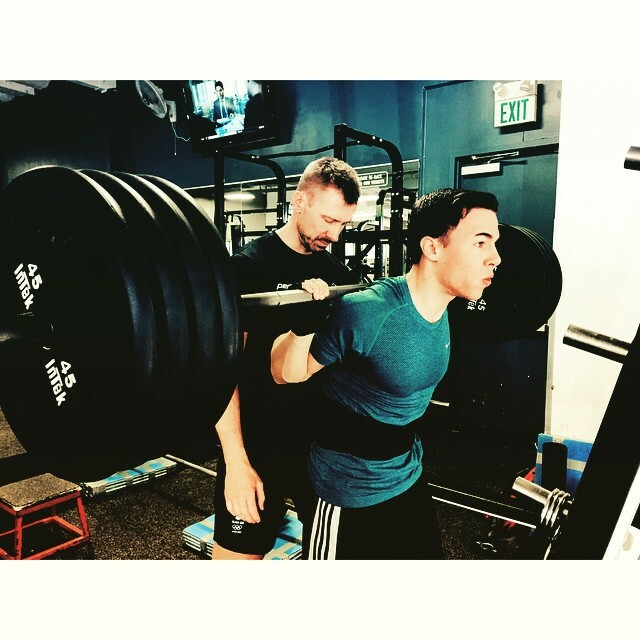 During this year I flew out to visit Lee in California for the first time since he started coaching me and began to correct a few things in my gym training, track sessions but most of all I gained a better sense of the kind of work I would need to put in to reach the next level. Lee was inspiring and incredibly attentive during the whole trip and I came back with an even stronger passion for cycling than ever before. Year 3 presented a different challenge. I was starting University in September 2014 and was looking to continue training. With a very inconsistent schedule I constantly had to make changes but despite Lee being on the opposite side of the world this was no challenge at all. If I needed to swap something around I could simply drop him a message and he’d respond with a well thought out and reasonable solution in no time at all. For a variety of reasons I dropped out of University at Christmas time and had 9 months before I was due to start a new course in September. I wanted to see how good I could be at a cyclist if I could really commit some proper time to it and this period seemed like the perfect opportunity. After a few calls to Lee about the validity of this plan and the best approach to make the most of the time we decided together that a fairly lengthy time out working directly with him in San Jose again would be the best option to start things out. So in late January I flew out for 4 weeks training with Lee, learning what I would need to do to once again step my training up to the next level. When I arrived Lee’s group of athletes had grown even more and I fell into a brilliant situation with some very fast, committed riders all in a group being coached by Lee. I feel like I’ve never made as much progress as a bike rider than I have in those weeks. The sessions were hard work for sure but great fun and I took a new approach to them because of that enjoyable training environment that Lee helped create in the gym and at Hellyer Velodrome. Even the rest days were great as we went out and found things to do in San Jose, San Francisco and the rest of the Bay Area. Lee went above and beyond what I possibly could’ve hoped for in these 4 weeks and it set me up perfectly for the rest of the year. After a solid showing at the Good Friday Meeting in April this year I went onto the BUCS University National track championships in May. I came away with 3 golds, 2 University National records and a massive PB in what had previously been my weakest event, the Flying 200m TT with a time of 10.65 seconds. I’d improved by 4 tenths in 7 months and most of that could certainly be attributed to the versatility Lee had shown over the past few months in adjusting my training to some very different circumstances. We talked about my results and re-aligned goals after every event and this was no different, except for the fact that it was becoming clear that if I continued at this rate of improvement I could have a real shot at making the Great Britain Cycling Team’s Academy (under 23) program when they took applications in August. Lee continued to create new plans for training to continue to sustain this improvement and I received a trial for the GB squad in early September. My performance there eventually proved strong enough that I was offered a place in mid September and have now moved up to Manchester and joined the Academy as a full time Team GB athlete working towards representing GB at World championships and the big goal of the Olympics. 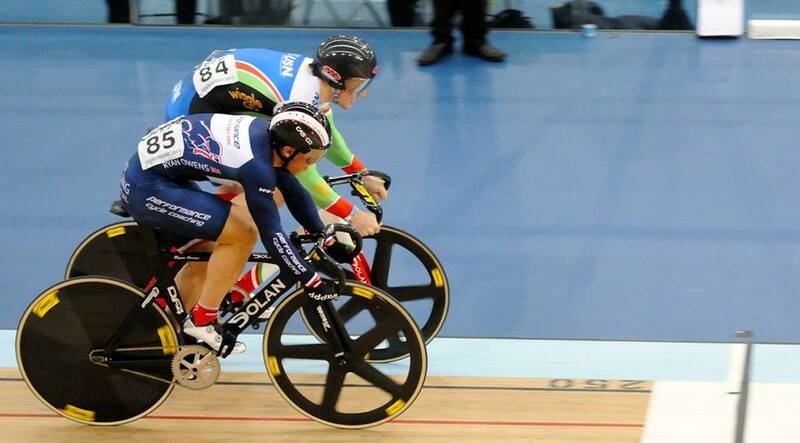 I had one last event before I moved to cap off the year at Senior Nationals where I finished 7th in the Keirin and set a competition PB of 10.4 seconds in the flying 200m TT. Whilst it has been the long term goal all along to make the Great Britain program and I have now had to move on from being coached by Lee I will never forget the amount I’ve learned, the fun I’ve had and the time, effort and help that Lee has given me over the past 3 years. When I’ve needed a coach, he’s been there with the best advice but also when I’ve needed psychological support in the lead up to races or even with regard to handling tough life situations he’s been fantastic. If you’re looking for a truly great coach then look no further.